Shut the front door! 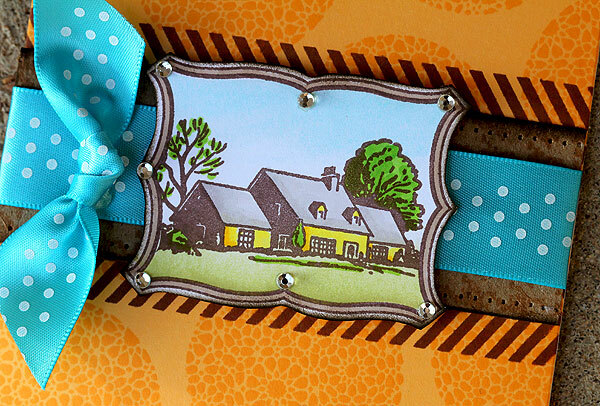 Oh how I love these new Hero Arts + Studio Calico stamps! YAH! What I don’t like? The wind! I took this card “on location” to photo it and the wind knocked the card over and a gem fell off the right side. I didn’t notice it then, oh darn. So, pretend like it’s there, okay? Okay. You can cut right through the frame, no worries — it will work just fine. 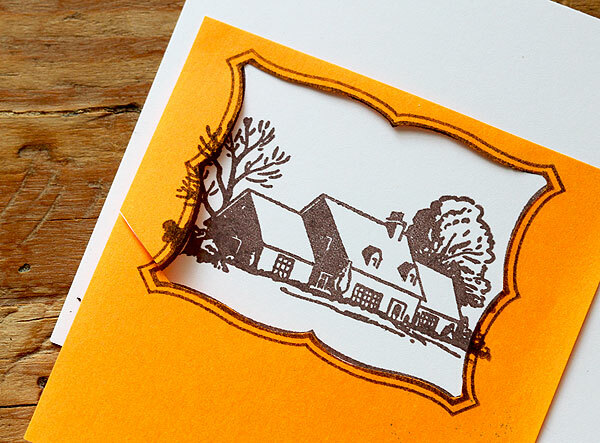 Then stamp something on the inside — in this case, I stamped the house from the Home Sweet Home set (ST513). Then I left the frame in place and sponged on Peeled Paint and Tumbled Glass Distress inks using an ink applicator from Ranger. Then I broke out my trusty Copic markers and colored the house and trees. 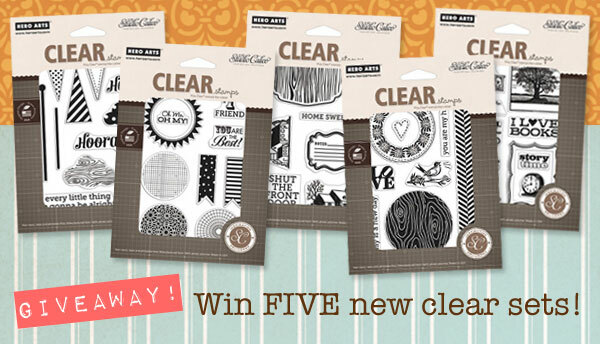 Now, want a chance to win FIVE Studio Calico + Hero Arts stamps? Of course you do! Just leave a comment here. Winners will be announced on Saturday, July 16th! 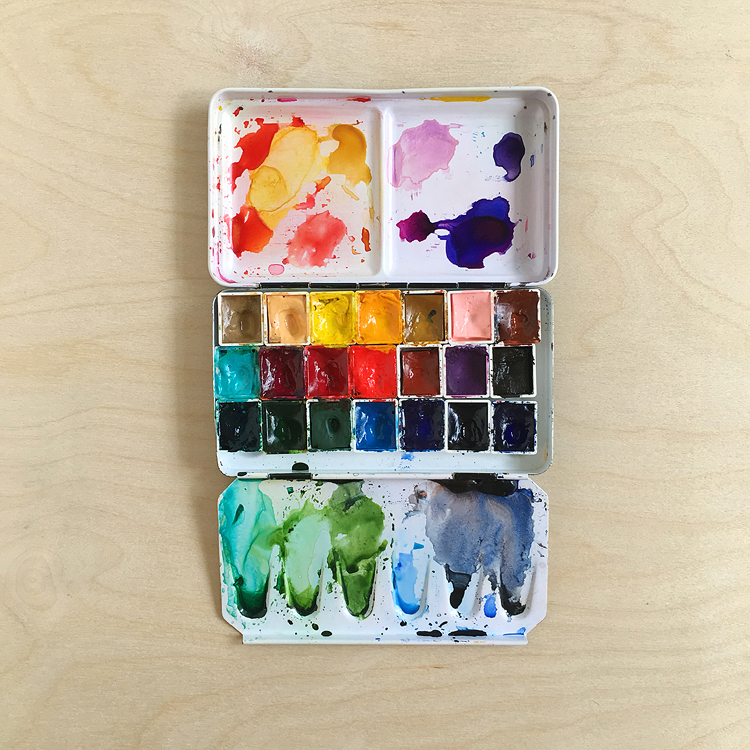 Your next stop for today is the super talented Lisa Truesdell! 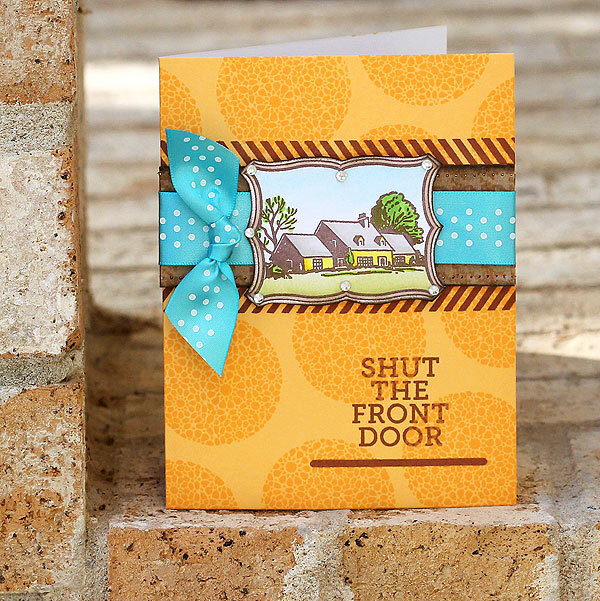 I just love her style, wait until you see the fun layout that she made! Cute card and thanks for the good tip too! 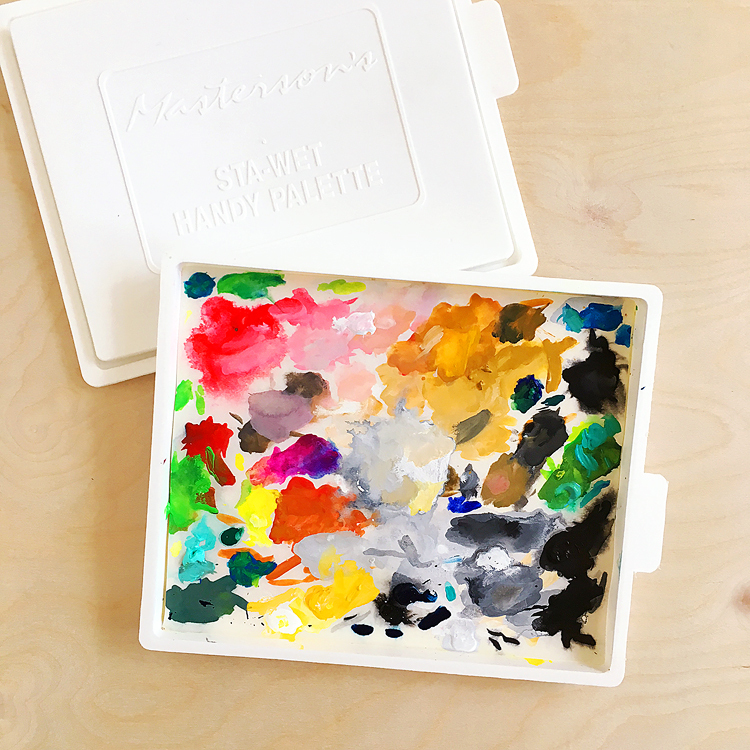 I adore those new stamp sets! Love your color choices. My daughter uses that saying. Ha! Wait till she sees it’s a stamp. Sorry! Missread the end datre of this great givaway. Please take my comment away. Thanks. Love reading all the comments…beautiful stamps. This card just makes me so happy, Lisa!! All the colors are so striking and come together nicely! Hope you are well! Have missed out on a lot of your work!